The 3rd part in the never ending series that only seemed to get worse with each installment has John Baxter (Tony Roberts) buying the infamous house despite warnings and that pretty much sums up the plot. 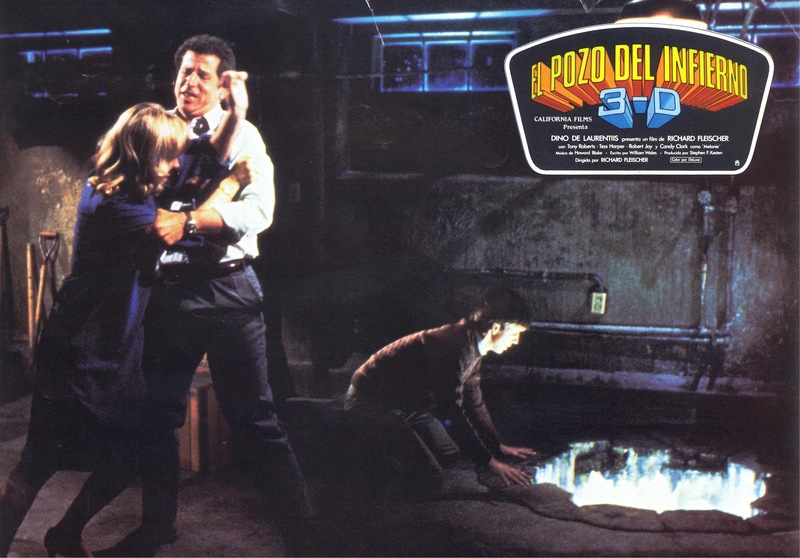 At the time of the release there was a slight 3D revival with such films as Jaws 3D and Friday the 13th Part 3 and while I didn’t see this in 3D I can’t see it really adding much since its mostly just bugs flying towards the screen or a Frisbee being thrown at the screen and perhaps seeing it in 3D might maybe make this a tiny bit more fun I’m still rather doubtful. Writer William Wales delivers a boring script that’s poorly plotted with dull and lifeless characters. The script just seems to be made up as it goes along and there really isn’t much interesting here at all. From what I can gather this was the only movie written by Wales and I can’t say I’m surprised there is absolutely no structure to the screenplay. Director Richard Fleischer doesn’t fare any better; Amityville 3D is poorly paced and devoid of any suspense or tension; unlike the other parts this movie has a PG rating rather than R, but I don’t think that is what hurts. A movie like this can get by with a rating under an R, but regardless Fleischer seems to be going through the motions. Everything about the direction is boring and lifeless with no excitement to any scenes. The 3D gimmick was just that and Fleischer doesn’t seem to have much of an interest in anything else and since its mostly bugs flying towards the screen it seems he didn’t get any of the 3D right as well. Surprisingly this movie has a pretty decent cast and the actors do as well as they can with the poor material they had to work with. 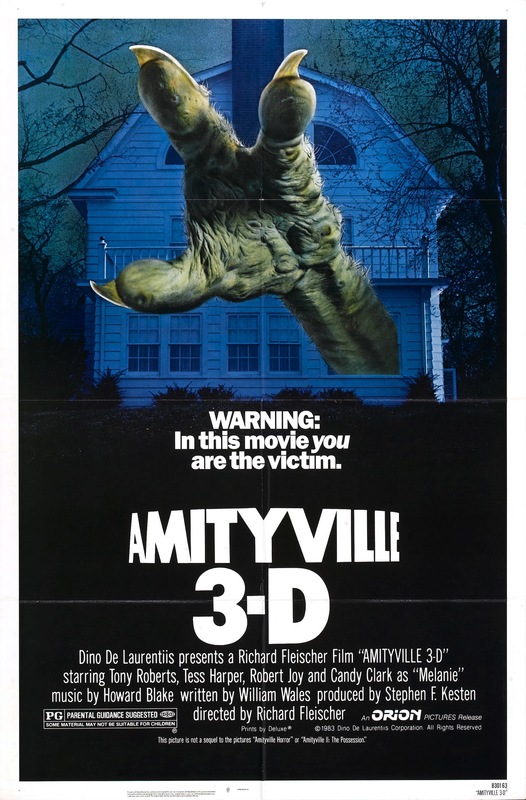 Amityville 3D is now best known for co-starring a young Meg Ryan in one of her earliest roles and Lori Loughlin of Full House fame in her first theatrical film. Overall Amityville 3D, which also goes under the title Amityville III: The Demon is a rather boring movie that is lifeless and shallow. The first 2 are about the only good ones in the series and even they weren’t great, but compared to this they were masterpieces.